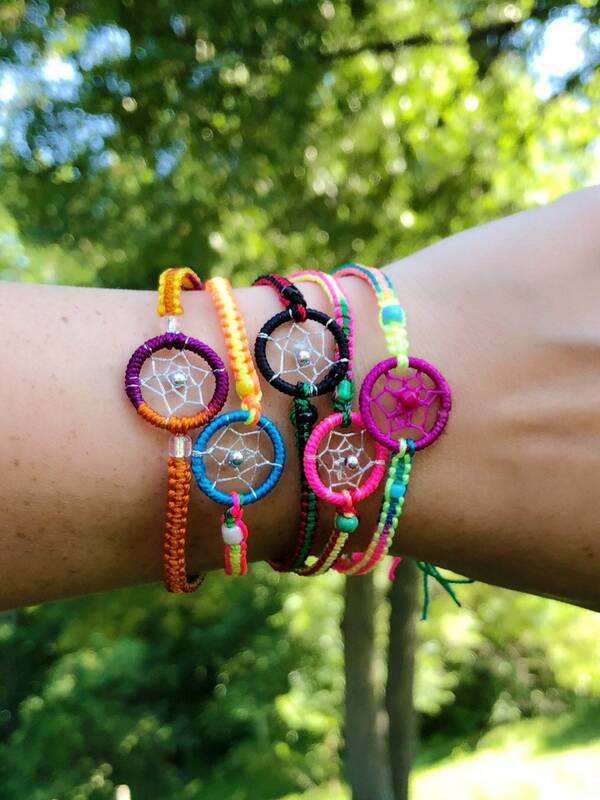 You will receive one multi color (chosen randomly) handmade dreamcatcher bracelet. 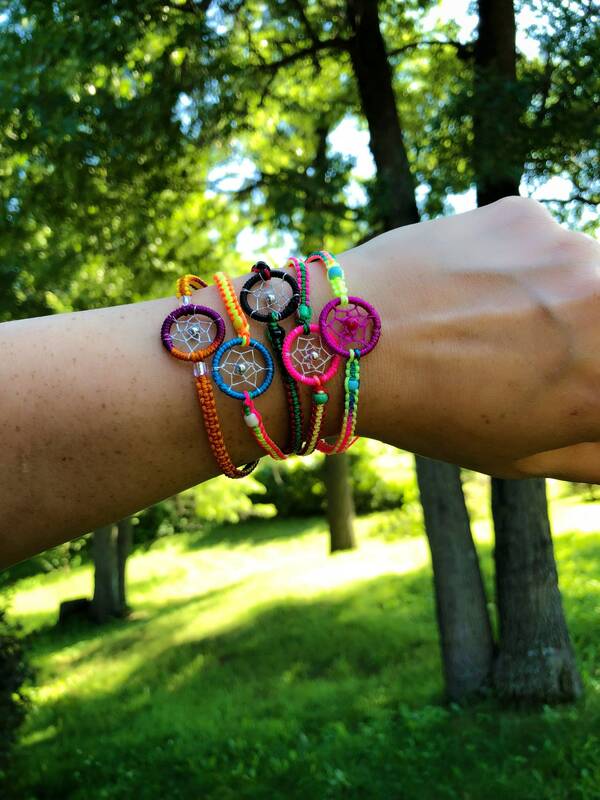 These are made with durable cotton/nylon blend thread in vibrant colors. Adjustable sizing, loop style tie. Bought these for gifts for the children attending my daughters baby shower. 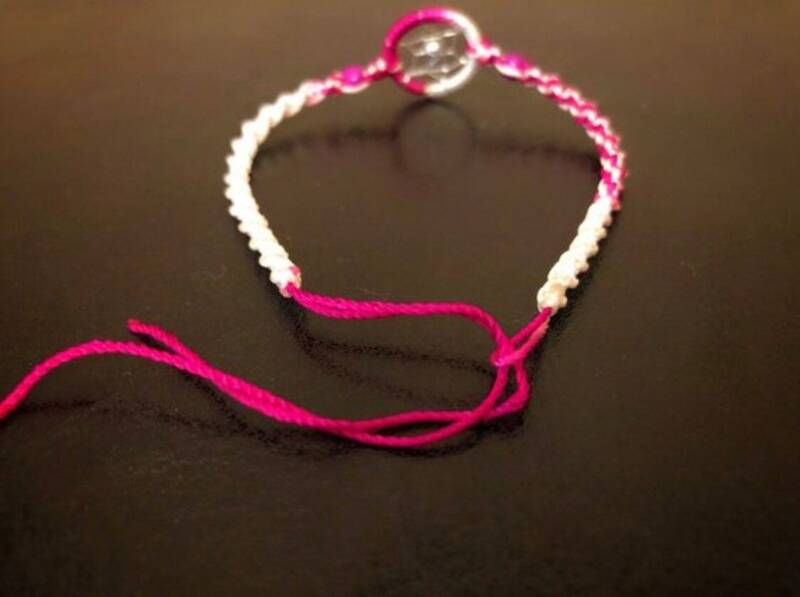 They are perfect for little girls. Small but that is fine. Shipping was fast and easy. Got these for my friends from Czech who wanted something from America. The quality is great and the price is reasonable.